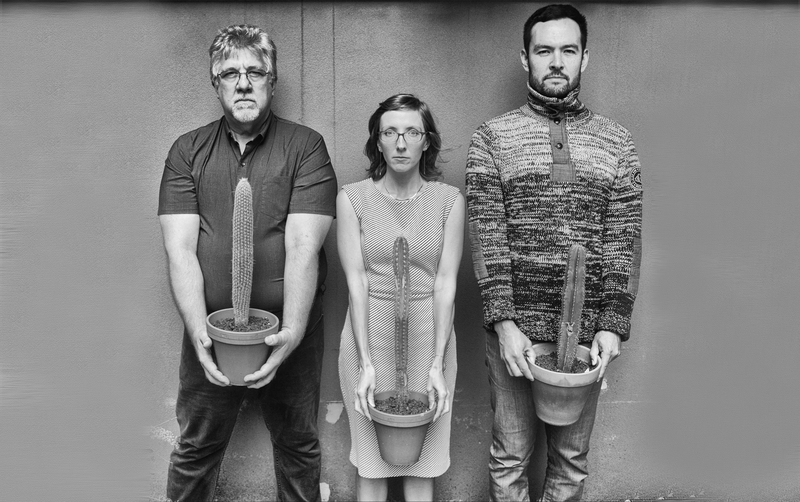 The trio Thumbscrew came about by accident, after bassist Michael Formanek subbed in a band including guitarist Mary Halvorson and drummer Tomas Fujiwara. Something special happened among them right away, so they formed a trio, a co-operative in the truest sense. They play originals by all hands, compositions whose rhythms may surge or lag or veer sideways according to their own internal logic. Bass and drums solo within the ensemble, not in quarantine. No one needs to be loudest. The blend is tight: one string (or metal) sound may bleed into another. It’s something to hear—something twisty and turny and always on the move. Ours, as its namesake suggests, is an album of original compositions with Fujiwara, Formanek and Halvorson contributing three works apiece. Opening with Halvorson’s striking “Snarling Joys,” Ours begins with delicate (and ever so slightly warped) ensemble figures that very naturally develop into an urgent and tense thrill-ride of a track, with a brilliant bass solo from Formanek. Fujiwara’s “Saturn Way” shows the ensemble bouncing off of each other’s rhythmic framework with Fujiwara anchoring the group through a pummeling rolling tom figure that slowly descends into a spacious and attentive group improvisation. Later, on Formanek’s punk-thru-the-wormhole style “Cruel Heartless Bastards” the ensemble shifts metric pulse in total lockstep on the turn of a dime while a teasing 4/4 figure creates a sense of gravity for the entire composition. Halvorson takes the track to the stratosphere with a dizzying guitar pedal laden solo after the group snakes their way through Formanek’s labyrinth. Cuneiform Records. Released May 20, 2016. Thumbscrew’s first CD, Thumbscrew, on Cuneiform Records. Released January 21, 2014. Monterey Jazz Festival, Pacific Jazz Cafe. Thumbscrew, "Words That Rhyme With Spangle" from 'Ours' (Cuneiform Records). Thumbscrew, "The Peacocks" from 'Theirs' (Cuneiform Records). © Thumbscrew, All Rights Reserved. Photos by Amy Touchette.